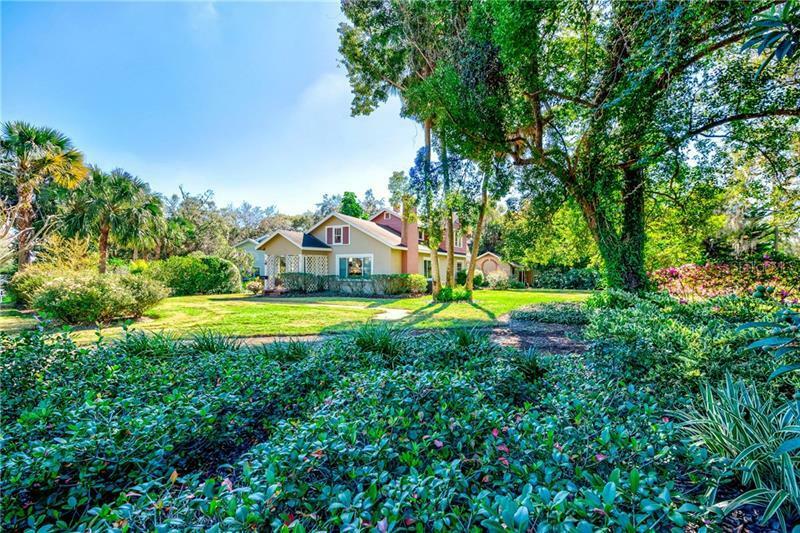 Situated on an oversized beautiful corner lot in the heart of Olde Winter Park, this 1920s home with historical designation, boasts character and charm. Located in the highly desirable Virginia Heights with deeded access to Lake Virginia and walking distance to Park Avenue. The two-story home has a downstairs master bedroom and separate bath with a second downstairs bedroom being used as an office/den. Two additional bedrooms and bath upstairs. Separate formal dining room just off of the oversized family room with a wood-burning fireplace. The eat-in kitchen overlooks a beautiful and tranquil courtyard that leads the way to a separate guest cottage, which is not included in the square footage and features a full bath. Newer A/C and new windows downstairs. Professionally landscaped yard with fruit trees and covered back porch. Top rated Winter Park schools including the brand new K-8 Audubon. Walking distance to Rollins College, downtown Winter Park shopping and dining, farmers market and Hannibal Square. Location is everything with this historic Winter Park charmer that takes you back to an era of rare wines and old violins.